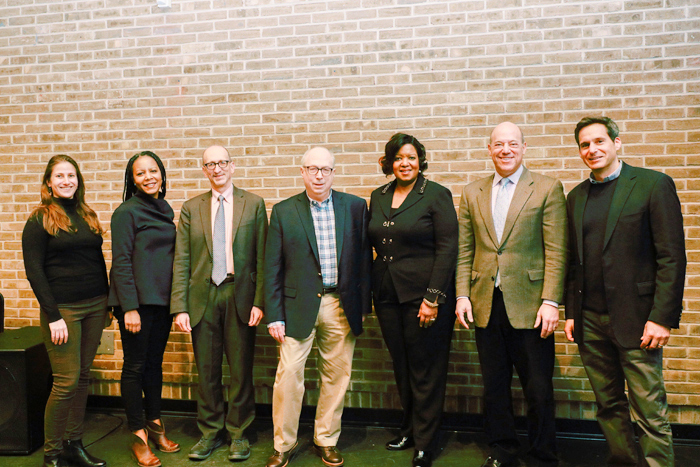 Alexis Grennell, Dr. Christina Greer, Brian Lehrer, Douglas Shoen, Dr. Belinda S. Miles (President, Westchester Community College), Ari Fleischer, and John Berman pose for a photo. 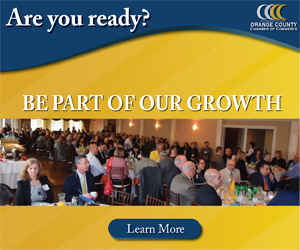 Westchester Community College recently presented the institution’s 33rd annual President’s Forum event, Where Are We Now? The President’s Forum is an annual public event featuring a distinguished panel of politicians, journalists, historians, and other intellectuals presenting a balanced discussion on a current topic of political importance. The event began with a limited pre-event luncheon, continued with a panel discussion, and concluded with a reception. This year’s event examined what is happening with immigration, foreign relations, education, the judiciary, the economy, and more. What can we expect in the future? The panel discussion was moderated by Brian Lehrer, host of the Brian Lehrer Show, WNYC Radio’s daily call-in program covering politics and life, locally and globally. He has been recognized with numerous awards including seven Associated Press New York Broadcasters “Best Interview” awards. John Berman: Co-anchor of “New Day” on CNN. He has had a 23-year career in journalism at ABC News and CNN, and been part of coverage teams that have received an Emmy, Edward R. Murrow award, and a James Beard Award. Ari Fleischer: Former White House Press Secretary and Spokesperson for President George W. Bush, Fox News contributor, and President of Ari Fleischer Communications. He is the bestselling author of Taking Heat. Dr. Christina Greer: Associate Professor of Political Science and American Studies at Fordham University. She is the author of Black Ethnics: Race, Immigration and the Pursuit of the American Dream and is a frequent political commentator on MSNBC and NY1. Alexis Grennell: Co-founder of Pythia Public, she works on issue campaigns and policy for both elected officials and non-governmental individuals and organizations. Douglas Schoen: Former pollster and advisor to President Bill Clinton and current principal of Douglas E. Schoen LLC. He is a regular op-ed contributor to the Wall Street Journal, The Hill, and Fox News and author of sixteen books. The funds raised supported the Westchester Community College Foundation’s Scholarship and Program Fund.